your dog and need access to a small amount of treats. 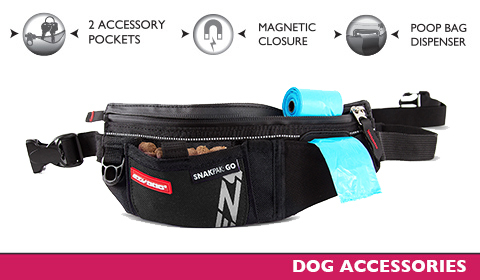 The SnakPak Go dog training pouch has a pocket at the front for a small number of dog treats. Perfect for when you want to do a quick bit of dog training on your daily walks. The side pocket is large enough to fit a standard roll of pickup bags comfortably. We fit the front of this pocket with a silicon molding that allows one poop bag at a time to be fed through. There is also an additional flap on the front to tuck the unused bag into. 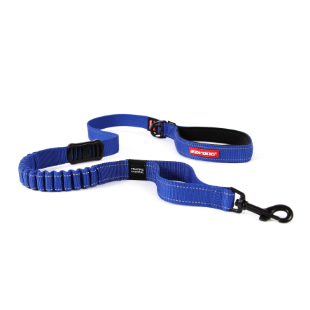 The SnakPak Go attaches around the waist with the elasticated webbing for added comfort. The webbing is adjustable to fit any waist size. I'm fat, but it fits! Terrific for small treats. Not good for large. Fits my iPhone 5 and a tissue. Wish a little more room for a chapstick and paper towel. 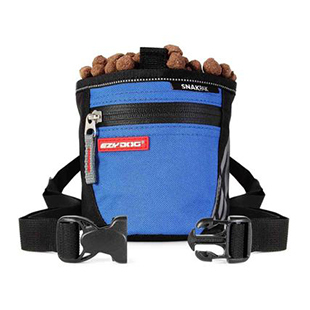 Overall, its a great tool and I always have my poop bags, too! I completely recommend it if you have a puppy, especially.